Sagging Meniscus Press, 9780986144592, 98pp. Literary Nonfiction. Memoir. Science. 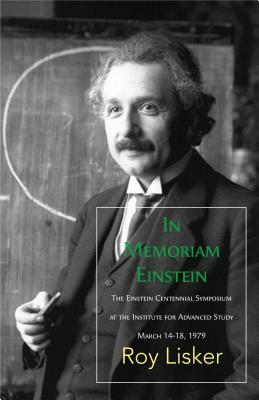 By a singular ruse, the author of this account obtained entrance to the most exclusive party in the scientific world of the 20th century: The Einstein Centennial Symposium at the Institute for Advanced Study in Princeton, New Jersey, on March 14-18, 1979. Admission was denied to all but a hand-picked group of celebrities: Nobel Prize winners, surviving members of Einstein's family, renowned Einstein scholars and historians, and journalists. Unbeknownst to the organizers of the event, Mr. Lisker turned out to be the only journalist present with the scientific competence to cover the entirety of this unique event. The result is a gripping and fascinating story that is both informed and humane, scientifically credible and politically aware.